Israeli Occupation Forces (IOF) tightened its military restrictions on Sunday in al-Khalil in the southern occupied West Bank for fear of clashes erupting following settlers’ attacks. 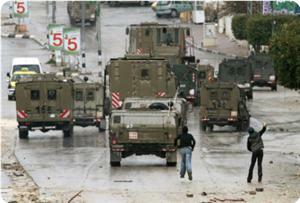 Israeli soldiers were deployed intensively in different towns in al-Khalil, eyewitnesses told PIC reporter. The sources added that Israeli military checkpoints were set up on the bypass road between Fawar camp and Kiryat Arba settlement built on Palestinian lands west of al-Khalil. Meanwhile, the IOF set up a temporary military checkpoint at the entrance of Yabad village in Jenin on Sunday, preventing Palestinian students and employees from having access to their universities and work places. Meanwhile, the IOF stormed Nablus at dawn today and raided a number of houses in different parts of the city, no arrests were reported. Local sources revealed that the IOF summoned several youths for interrogation at Israeli Intelligence headquarters. In a related context, the IOF prevented Palestinian citizens from using spring water near Fawar camp in al-Khalil under the pretext of maintaining settlers' security. The IOF have demolished a number of water wells during the past weeks in the area as a prelude to establish a new Israeli outpost. 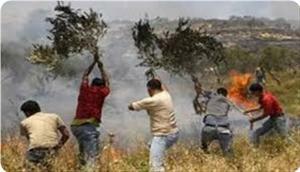 Jewish settlers chopped down on Sunday dozens of old olive trees in Nahalin village, Bethlehem province. 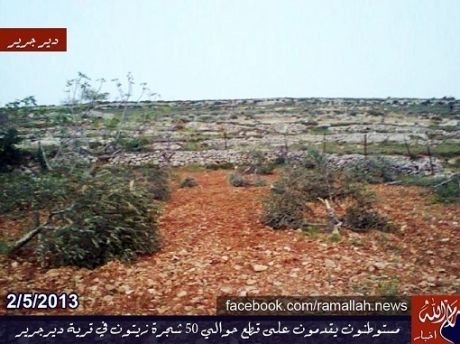 Jamal Najajre, the chairman of Nahalin municipal council, said that the settlers destroyed 30 olive trees that are almost one hundred years old. He underlined that Jewish settlers chopped down olive and almond trees in the same area about a month ago. Al-Aqsa Foundation for Waqf and Heritage said on Sunday that Likud Beiteinu party affiliates have announced their intention to storm Al-Aqsa Mosque on Tuesday morning. Meanwhile; a number of rabbis called on the Israeli decision-makers to arrange an official Jewish prayers at Al-Aqsa Mosque, as soon as possible. Al-Aqsa Foundation said that these practices show the occupation's clear escalation against Al-Aqsa Mosque, and called on the Arab and Islamic nations to act and protect the Mosque and the occupied city of Jerusalem. 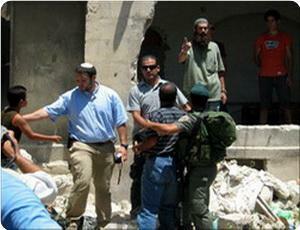 Jewish settlers attacked Palestinian citizens and shop owners in the Old City of Al-Khalil on Sunday. Mohammed Harub, who was present at time of the attack, told the PIC that a group of settlers from the nearby Beit Hadassah settlement outpost insulted citizens and attacked one of them. He said that Israeli army troops and police forces were present but did not intervene to stop the settlers’ provocations, recalling that in past occasions those forces took part in similar attacks that did not spare even women and children. Dozens of Jewish settlers stormed the village of Ras Karkar, west of Ramallah, on Saturday evening and clashed with its inhabitants. Eyewitnesses said that the settlers arrived in more than 40 cars and tried to break into citizens’ homes at the outskirts of the village but were repelled by the inhabitants. They said that Israeli occupation forces (IOF) rushed to the rescue and fired rubber bullets and tear gas at young men inuring two of them. The sources said that the soldiers cordoned off the entire village and blocked, with the help of settlers, ambulance cars from entering the village to evacuate the wounded. 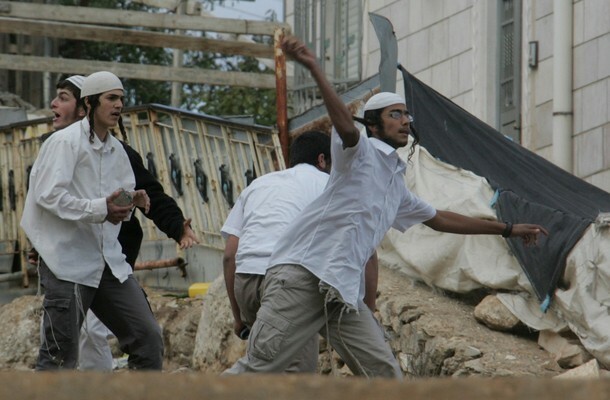 Settlers attacked a man west of Bethlehem on Saturday, causing moderate injuries, locals said. A group of settlers threw stones at Ahmad al-Zaglool at a road junction near Betar Illit settlement, witnesses told Ma'an. Al-Zaglool, who is from the nearby village of Husan, was moderately wounded and taken to hospital for treatment. Settlers regularly attack Palestinians and their property in the occupied West Bank and are rarely punished by Israeli authorities, who locals accuse of failing to intervene despite being present at many incidents. An Israeli settler on Friday ran over a man near Nabi Ilyas village in Qalqiliya, witnesses said. Faroq Abu Haniyeh, 60, was moderately injured after he was hit by a car while returning from his farm on a donkey-drawn cart east of Qalqiliya. Israeli forces closed the Nabi Ilyas village after reports of shooting at a settler car Friday afternoon. Israeli occupation forces (IOF) and Jewish settlers brutally attacked on Friday afternoon thousands of Palestinians who rallied to pray on their lands which are located between the villages of Silwad and Deir Jarir to the east of Ramallah city. Eyewitnesses told the Palestinian information center (PIC) that immediately after finishing the Friday prayers, the IOF showered the Palestinian worshipers with tear gas grenades causing injuries to many of them. 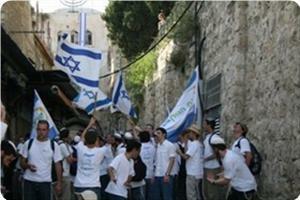 The IOF also helped a horde of Jewish settlers from Ofra settlement to attack the worshipers. The preacher said in his khutba (sermon) that the villagers of Silwad and Deir Jarir decided to perform their Friday prayers on a weekly basis on their lands, which the Israeli occupation intends to annex to expand settlements. He added that the villagers decided to pray on their lands on Fridays in order to protect them against annexation. Meanwhile, violent clashes also broke out at the southern entrance to Silwad village between Palestinian young men and Israeli soldiers. The IOF used wastewater, tear gas grenades and rubber bullets to suppress the young men and blocked the road between Ein Yabrud village and Silwad. B'Tselem organization reported that the Israeli army arrested three Palestinian citizens after they complained of settlers' attacks. 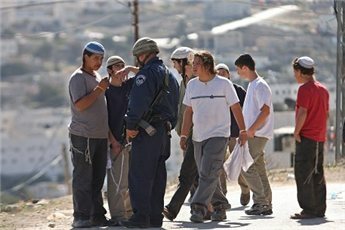 The human rights organization stated that a military court judge at Ofer Camp ordered the unconditional release from detention of the three Palestinian residents of al-Khalil, Shaker Zaro (Tamimi) and his two sons Shehab and Shukri, who had been arrested by soldiers summoned to deal with trespassing settlers. B'Tselem said that the three Palestinians in question on Wednesday saw on their privately-owned land settlers from Giv’at Gal, and called the police to report the trespassing that was documented in video by B'Tselem's cameraman. "When soldiers arrived on the scene, the Palestinians told them that this was their own land and that they wanted the trespassers removed. The soldiers ignored these explanations. Rather than sending the settlers away, the soldiers arrested the Palestinians and took them to the Kiryat Arba Police Station. There, the police did not release the detainees." The police demanded cash bail and a pledge that the Zaros will not go out to their land for 15 days. However, the detainees insisted that they were innocent and refused to pay any money or sign any pledge. Consequently, the police kept them in custody overnight, B'Tselem added. It said: "On Thursday, 25 April, a hearing was held in the Ofer military court, with the prosecution seeking to extend the Palestinians’ remand. In response, defense counsel, Adv. Nery Ramati of the Gaby Lasky law firm, submitted video footage of the arrest and Shaker Tamimi’s land deeds." 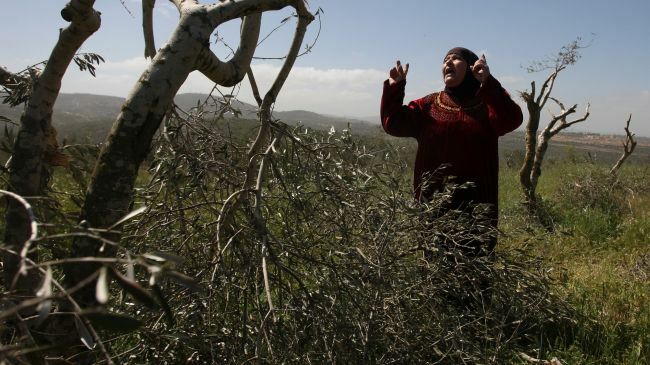 Thursday May 2 2013, a number of armed extremist settlers of the Ofra illegal settlement, attacked Palestinian orchards in Deir Jareer village, east of the central West Bank city of Ramallah, and cut nearly 50 olive trees. Local sources in the village reported that the olive trees belong to two residents identified as Mohammad Jihad Shajaeyya, and Mohammad Mahmoud Hamdan. The settlers left the area after their attack; Israeli soldiers arrived at the scene, attacked and pushed the Palestinians out of their lands. A few weeks ago, a number of extremist settlers attacked a Palestinian villager in the area causing various injuries, and the local residents responded by burning mobile homes illegally installed by the settlers on Palestinian lands. On Tuesday, several Palestinians, mainly schoolchildren, were injured after a group of extremist Israeli settlers hurled stones at their vehicles, including a school bus, close to various roadblocks, near the northern West Bank city of Nablus. The settlers also set ablaze dozens of Palestinian olive trees that belong to villagers of Huwwara, Aseera Al-Qibliyya, Madama and Orif, all near Nablus. Furthermore, a number of settlers also hurled stones at Palestinian vehicles near the Ennab roadblock, east of the northern West Bank city of Tulkarem. In related news, a young Palestinian man was stabbed and seriously injured in Jerusalem, and was moved to the Hadassah Israeli hospital in the city. Also on Tuesday, Israeli sources reported that a Palestinian man stabbed and killed an Israeli settler of the Yitzhar illegal settlement, near Nablus. The attack took place near the Za’tara roadblock. Israeli occupation forces (IOF) stormed the villages of Haris and Kifl Haris near the city of Salfit, in the northern West Bank, at dawn Thursday and arrested 7 Palestinian young men. Local sources said that Israeli occupation soldiers in large numbers raided Haris village and arrested two youths, while they arrested five other young men from the nearby village of Kifl Haris. Meanwhile, settlers from Yitzhar settlement threw stones at Palestinian passing vehicles on the settlement street on Thursday morning. No injuries were reported. The IOF also stormed the village of Awarta, south east of Nablus, but no arrests were reported. In Bethlehem, local sources reported that a Palestinian citizen from the town of Beit Sahour has been arrested after a raid on his home. Another Israeli military force stormed the town of Beit Awwa in al-Khalil. A number of boys were questioned, while clashes broke out between the Palestinian young men and the Israeli soldiers in the town. More than five Israeli military vehicles raided at dawn Kharsa village, southern Dura south of al-Khalil, and searched several houses. 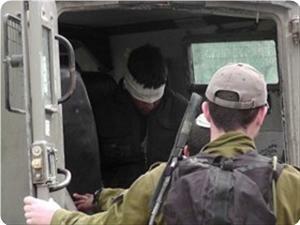 A Palestinian youth was arrested during the raid and taken to an unknown destination. According to local sources, the Israeli soldiers intensified their presence at the entrances to the village. Ezzet Al-Resheq, a political bureau member of Hamas, has warned of the new Israeli project of establishing a monorail in occupied Jerusalem. Resheq said in a press release on Wednesday that the “dangerous project” aims at facilitating the access of Jewish fanatic settlers into the Buraq plaza and boosting Jewish presence in the holy city. He said that the project also aims at intensifying presence of Jewish settlers near the Maghareba gate in preparation for attacking the Aqsa mosque and dividing it between Muslims and Jews similar to what took place in the Ibrahimi mosque in Al-Khalil. The Hamas leader called on the Arab League and the Organization of Islamic Cooperation to employ their presence at the international platforms to pressure Israel into desisting from further measures to Judaize Jerusalem. Resheq asked Arab and Islamic masses to boost their role in support of the Palestinian people especially in occupied Jerusalem in face of Israeli occupation’s schemes and projects, adding that Israel was exploiting peace overtures to seize more land and expand Judaization projects. Jewish settlers attacked a Palestinian village to the west of Ramallah on Wednesday and damaged Palestinian property and tried to break into houses. Eyewitnesses said that dozens of armed Jewish settlers in separate groups attacked the village of Beitello and wrote racist slogans on walls of buildings and tried to break into a number of houses. They said that citizens confronted the settlers, who came from Halamish settlement, and prevented them from breaking into their homes, adding that a number of citizens were wounded in the scuffles. They said that Israeli occupation forces came to the rescue of settlers and took them out of the village, which they had formerly attacked and torched Palestinian cars in it. 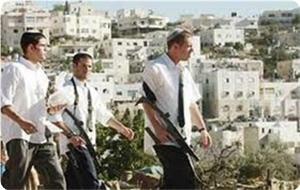 Israeli settlers continued for the third day, to attack the southern part of Nablus. Group of settlers threw stones at Palestinian vehicles neat Yitzhar settlement following the death of one of its residents two days ago. Palestinian official responsible for the settlement file in the northern part of the West Bank, Ghassan Douglas, said that the settlers gathered at a road that leads to the settlement and caused material damages to the vehicles. The settlement's surrounding villages are always subjected to attacks carried out by settlers on the Palestinians and their properties. 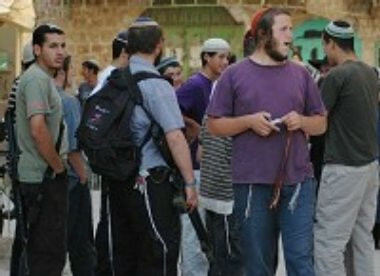 Jewish settlers attacked Palestinian vehicles south of Nablus on Thursday morning, local sources said. Ghassan Daghlas, monitoring settlement activity north of the West Bank, said that the settlers threw rocks at dozens of Palestinian cars passing near the Yitzhar settlement. He said that the settlers were positioned at a crossroad and had inflicted severe material damage to passing cars. Jewish settlers intensified their attacks on Palestinians and their property, especially in southern Nablus, after one of them was killed by a Palestinian young man who was provoked by a group of settlers. Israeli Housing Minister, Uri Ariel, of the Jewish Home Party, stated that his party will oppose an government budget that does not includes budgets for the construction and expansion of Jewish settlements in areas Israel vowed to build in after the Palestinians headed to the United Nations last year. Israeli Yedioth Aharonoth reported that Ariel held a meeting with Israeli Prime Minister, Benjamin Netanyahu, to discuss the issue, and stated following the meeting that any budget that does not allow settlement construction would be considered a violation of the coalition agreement between the Jewish Home and the Likud Party of Netanyahu. 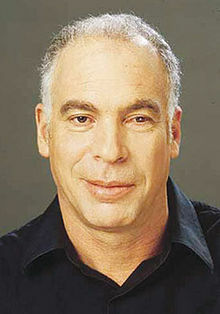 On his part, Israeli Finance Minister, Yair Lapid, refused to comment on the statements of Ariel. Israeli sources reported that Ariel seems to be sending a message for Jewish settlers in the occupied territories, telling them that his party will fight for more budgets for settlements, and that he is also sending a political message to Netanyahu to stress on the importance of settlements amidst U.S. efforts to resume direct peace talks between Israel and the Palestinians. In November of last year, the Palestinians won a UN General Assembly vote for nonmember observer state statues when 138 member states voted in favor of Palestine, while only 9 countries voted against the bid and 41 countries abstained. Israel responded to the move by approving more settlement construction and expansion in the occupied territories, including in and around occupied East Jerusalem, and also withheld Palestinian tax money it collects on behalf of the Palestinian Authority on West Bank border terminals. The U.S also withheld financial support to the P.A and urged it to refrain from what it called “unilateral moves” that are “counterproductive to the efforts to resume direct peace talks”. The Palestinian Authority is demanding Israel to stop all of its violations, including invasions, assassinations, arrests and settlement construction activities in order to enable the resumption of peace talks, but Israel considers the Palestinian demands as “preconditions”. Israeli settlers have attacked Palestinian homes, smashing their windows and painting price tag graffiti on their walls. 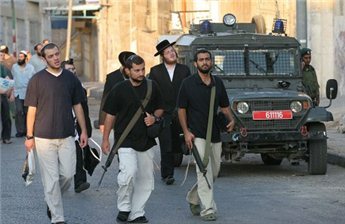 Masked Israeli settlers launched the assault on Palestinians’ houses in the occupied West Bank overnight on Wednesday, Xinhua reported. Sarit Michaeli, the spokesperson for the human rights group B'Tselem, condemned the acts of violence, saying it could worsen the condition in the area. Israeli settlers regularly launch price tag attacks against Palestinians. Price tag attacks are acts of vandalism and violence against Palestinians and their property as well as Islamic holy sites. The Israeli mayor of the occupied city of Jerusalem, Nir Barkat, declared during a press conference yesterday evening the establishment of monorail in the city, noting that it will be ready by 2015. 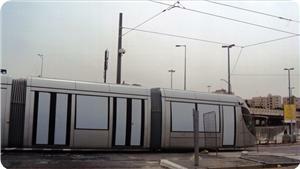 The monorail will start from Jabal al-Zaytun towards the old town and down to al-Buraq Wall, and then to al-Khalil Gate to reach the central bus station west of the city, noting that it would allow tens of thousands of Jewish extremists to easily access al-Buraq Wall and the old town, according to Barkat. Jews will fly over Jerusalem in less than an hour by monorail, he said. Specialist in settlement affairs Ahmed Sablaban said that 6000 persons will be allowed to reach al-Buraq wall within an hour, stressing that it aims to impose the Israeli control over the old town in light of the Israeli escalated Judaization projects. This Israeli new project aims to change the Arab and Islamic character of the occupied city of Jerusalem by reinforcing the Israeli tourism in order to impose the Israeli control over the so-called Holy Basin area, he noted. Sablaban pointed that this Israeli project came in the framework of the continued Israeli Judaization and settlement projects in the area. He stressed that the Israeli municipality in cooperation with the Israeli company for "Jerusalem Development" announced that the monorail will be launched at the beginning of 2015. Al-Aqsa Foundation for Endowment and Heritage said that Jewish extremist groups have called for storming al-Aqsa mosque next Wednesday to mark the 46th anniversary of the occupation of the eastern part of the occupied city of Jerusalem. The Foundation warned against the seriousness of such calls and called for defending al-Aqsa mosque, stressing that this call came in light of the Israeli continued escalation to impose a new reality in the city. Jewish groups called in a statement for broad participation in the night march towards the Old City in Jerusalem, and then to Asbat Gate to perform Talmudic rituals and to break into al-Aqsa mosque. In related context, a number of Israeli settlers stormed on Tuesday al-Aqsa mosque including the MK Shuli Muallm in light of the Israeli escalated calls to build the alleged Temple. Hundreds of Jerusalemite worshipers and students have come to the scene defending al-Aqsa mosque. Izzat al-Resheq, a member of the political bureau of Hamas, warned the occupation authorities of giving the green light to Jewish extremist settlers to carry out brutal attacks against Palestinians and their properties. Al-Resheq held the occupation authorities fully responsible for these serious crimes and their implications, saying that the "Palestinian people will not remain idle and will protect their land and dignity by all means." Since the early morning hours of Tuesday, hundreds of Israeli settlers carried out several attacks against Palestinian citizens in Nablus northern West Bank. 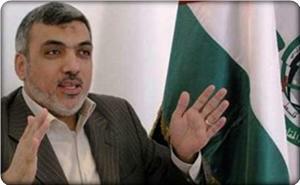 In another context, al-Resheq stated that the Israeli decision to approve the construction of 121 new housing units in East Jerusalem and the Israeli plan to expand Modi'in settlement, west of Ramallah on 4,000 dunums of Palestinian land in the West Bank came in the framework of the Israeli campaign to expand settlement and to loot more Palestinian land in Jerusalem and the West Bank. He stressed in a press statement on Tuesday the need for a strategy to address the Israeli settlement projects, calling for Arab, Islamic and international pressure to put an end to the Israeli settlement ambitions. He noted that the absence and the prosecution of armed resistance in the West Bank encourage the Israeli settlement expansion and construction. 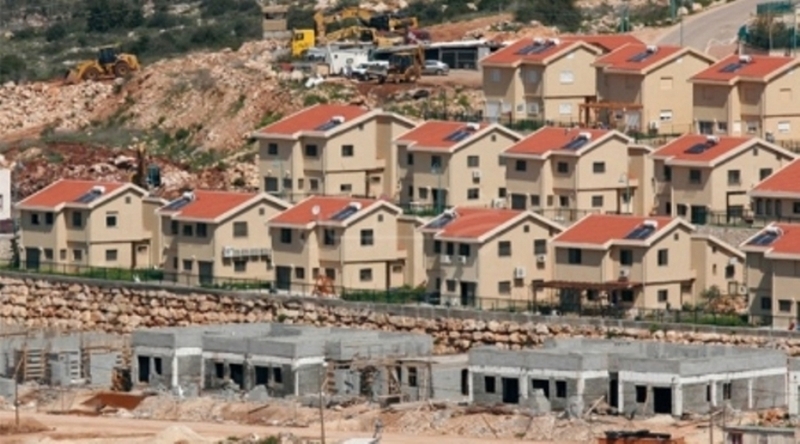 The Israeli Ministry of Housing approved on Monday the construction of 121 new housing units in the settlement of "Givat Ze'ev" near the city of Jerusalem. The Israeli Ministry of the Interior also presented the plan to expand Modi'in settlement west of Ramallah on 4,000 dunums. Settlers started over 50 fires across the West Bank on Tuesday following the fatal stabbing of a settler in Nablus, official news agency Wafa reported. A report by the civil defense said firefighters had to deal with 57 fires caused by settlers. Hundreds of olive and almond trees were damaged and large areas of cultivated crops were destroyed, the report said. Settlers attacked Palestinians and their property in the Nablus and Tulkarem areas on Tuesday, following the fatal stabbing of a settler earlier in the day. 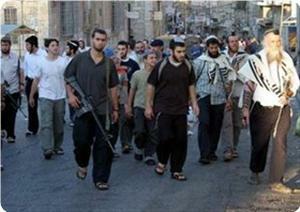 Settlers attacked a mosque and burned tires at junctions in Nablus. They also hurled stones at Palestinian cars, including two buses holding schoolgirls, injuring over 20 people. 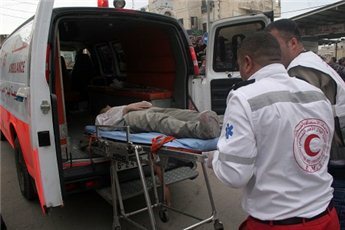 Four Palestinians were injured and taken to the Rafedia Hospital in Nablus for treatment following clashes with Israeli forces in the village of Urif, where settlers had damaged a mosque. Israeli forces rarely prosecute settlers for violence against Palestinians and their property, which is routine in the occupied West Bank. A Jerusalemite youth was knifed by Jewish settlers in occupied Jerusalem on Tuesday night. Israeli press said that the young man was found stabbed in his chest near a Jewish suburb in the holy city. It said that ambulance crews extended first aid to the youth before taking him to Hadassah Ein Karem hospital where his stab wounds were described as moderate to serious. A spokeswoman for the Israeli police said that an Arab cleaner working with the Jerusalem municipality was found stabbed in his chest. Jewish settlers in occupied Jerusalem and the West Bank have been on the rampage since Tuesday morning attacking Palestinian citizens and damaging their property after a Palestinian youth killed one of them following settlers’ provocations near Nablus. 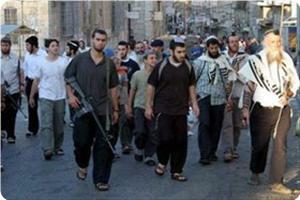 Israeli settlers have clashed with Palestinians in the occupied West Bank city of Ramallah, amid escalating tensions. The clashes erupted in the Palestinian village of Baytillu on Wednesday, after the Israeli settlers entered the village overnight and sprayed the words “price tag” on a wall of a house. 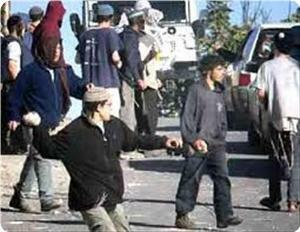 At least five vehicles were damaged as Israeli settlers and the Palestinians threw rocks at each other. Israeli extremists regularly carry out “Price tag” attacks, targeting Palestinian properties, cars, mosques and olive trees. The perpetrators are rarely caught by Israeli security forces. 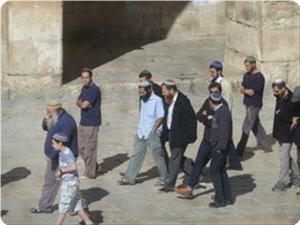 On Tuesday, Israeli settlers vandalized a Palestinian mosque in Nablus. They also stopped two school buses near the illegal Yizhar settlement, south of Nablus, and hurled stones at the vehicles, injuring 20 students. In the same day, settlers set fire to dozens of olive trees in the Nablus villages of Asira al-Qibliya and Urif, and attacked vehicles east of Tulkarem. Tensions heightened in West Bank following a stabbing attack that killed a settler earlier in the day near Zatara checkpoint in Nablus. A week after unknown vandals set fire to four vehicles in the Arab-Israeli village of Akbara, near Safed, the owner of one of the cars received a NIS 1,500 ($417) invoice from the fire department for services rendered. The vehicles were set ablaze at 2 am, and graffiti reading "don't touch our girls – price tag" was found on a wall nearby. "Price tag" refers to the strategy Jewish extremists have adopted to exact a "price" from Palestinians in retribution for settlement freezes and demolitions, or for Palestinian attacks on Jews. When Osama Halil turned to the Fire and Rescue Services he was told the bill for the extinguishing services provided by the service would be split between the owners of all four torched cars, but that he would still have to pay his share (NIS 375, or $104). 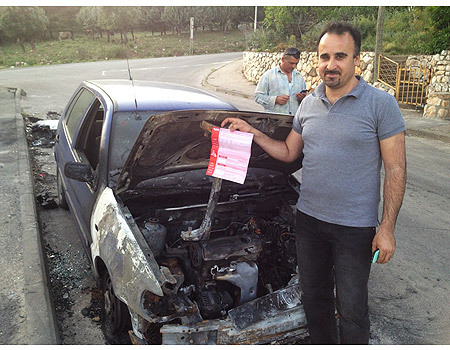 "As if it is not enough that my car was burned, now they send me a NIS 1,500 bill," he said. "The bill doesn’t even state my car's license number or my identification card number. It is not right that I have to pay out of my own pocket. It will take time before I am reimbursed – should the assessor and insurance company approve it (the reimbursement)." Halil's car is insured, but those of his neighbors, Ala Halihal and his brother, are not: "It's like summoning the police and then getting billed for it," said Halihal, whose car is valued at NIS 20,000 ($5,563). "Extinguishing fires is a public service; it's not private." Fire and Rescue Services spokesman Natan Ben-Shimol said: "There are committees that give discounts or cancel bills, but in general we charge for the cost of the extinguishing services provided. We have begun a process of reducing costs for people whose vehicles were torched." Gadi Gvaryahu of Tag Meir, or "Bright Tag," an anti-extremism organization, said: "We visited the Halihal family this week and found people who want to live in peace with their neighbors. Sending a bill to the victims of the crime is ridiculous." Jewish settlers rampaged Wednesday and for the second day in a row in the West Bank attacking the Ramallah-area village of Bitillo, according to local sources. 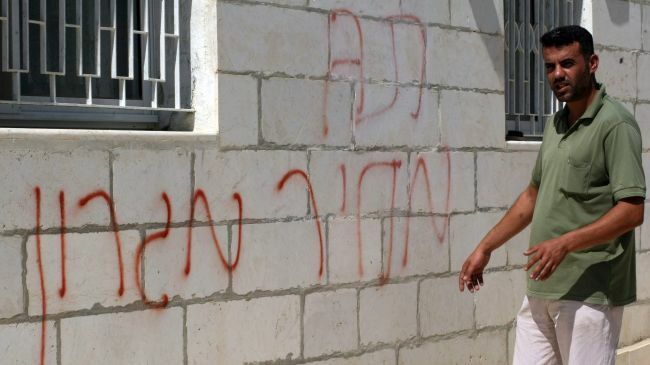 They said settlers entered the village in the early hours and proceeded to write anti-Arab and “price tag” graffiti on the wall of one house and attempted to break into other homes before residents were able to push them out. A number of people were injured lightly in the confrontations, said the sources.